Welcome to the 2017 edition of the Virginia Business Meeting & Conference Planner. This publication highlights prime meeting locations in the commonwealth designed to make your next meeting a success. Scroll below to read features on Virginia’s unique meeting destinations, ranging from breathtaking mountains to sandy beaches. The list here breaks down conference venues in the state by available meeting space in square feet, banquet capacity and other useful information. Logistics are important when planning meetings, and so are the meeting planners who make sense of data to create perfect events. 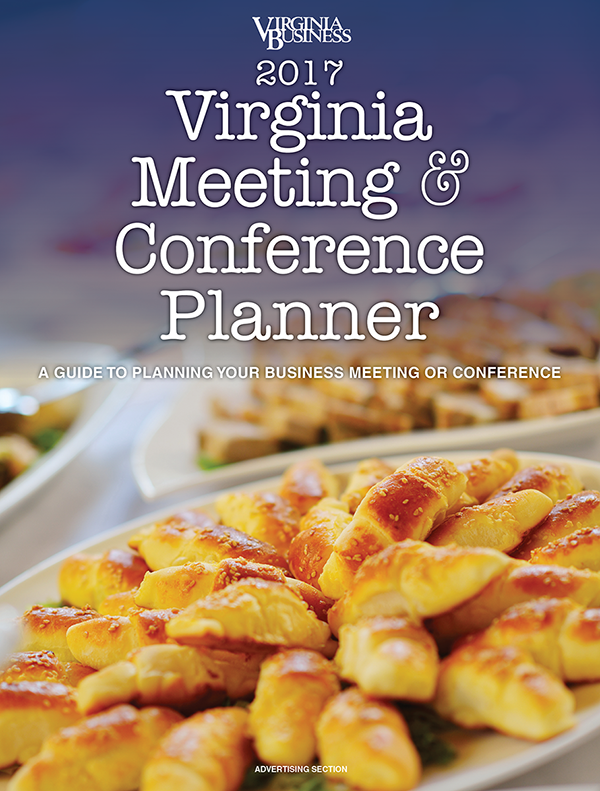 This year we’re continuing to celebrate the commonwealth’s top meeting planners by featuring the 2017 Virginia Business Meeting Planner of the Year, a partnership started last year by Virginia Business and the Virginia Society of Association Executives (VSAE). This year’s winner is Tracie Grady, vice president of operations and meetings for Eisenman & Associates Inc., a Richmond-based association management and meetings consulting company. Grady will be honored at the VSAE’s 2017 Educational Symposium & Expo Oct. 5 at the Greater Richmond Convention Center in Richmond. She is among a dozen meeting planners nominated for this year’s award. Turn to page 34 to read about what makes Grady a standout at her job.